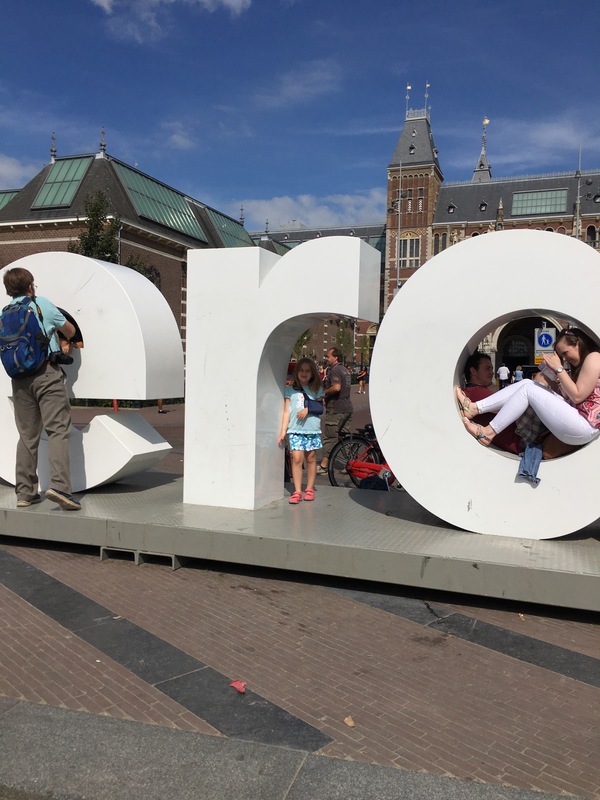 Normal family travels (even or maybe especially to Target) include a lot of short calls saying, “Where are you?” We got to Amsterdam and quickly realized that none of our phone solutions worked unless BOTH of us were connected to wifi and the connections kept dropping. We had a couple of misadventures and even got directed to the “meeting point” once. Dan’s fix is to have a meeting point wherever we go. My plan is to not split up until we get phones. We will see. We arrived in Amsterdam and took a bus to the city center. 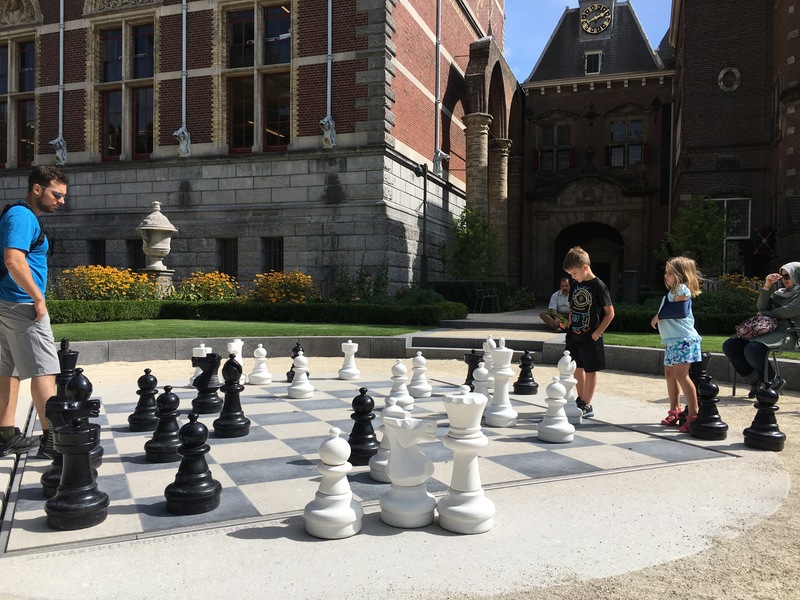 After a rousing game of chess with a new friend, we got a requisite picture with the I am Amsterdam sign. 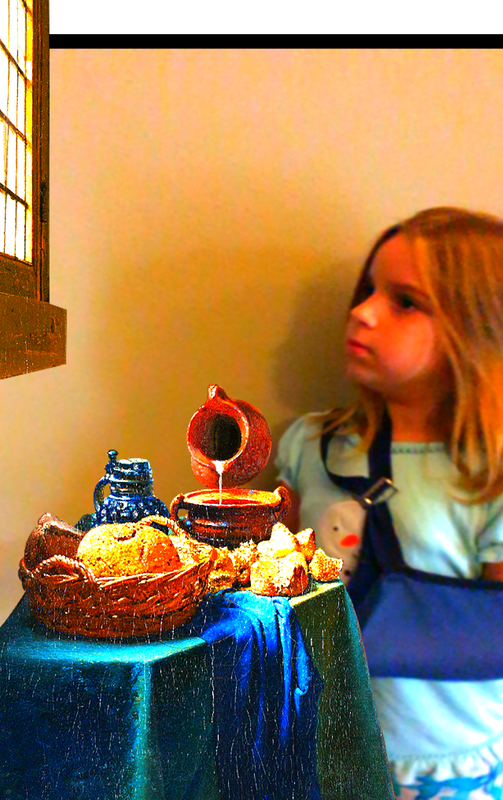 We hung out at the Riksmuseum and learned about Vermeer’s use of color. 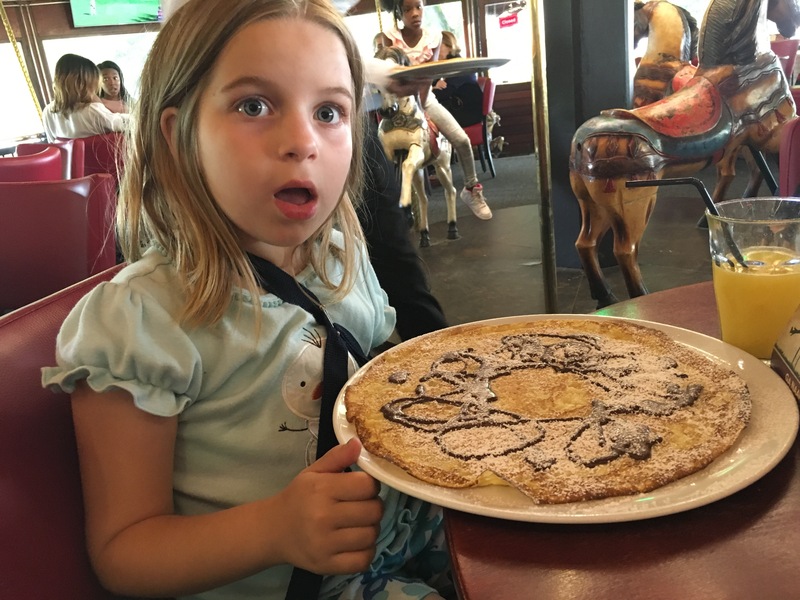 Finally we hit De Carrousel for some authentic Dutch pancakes. 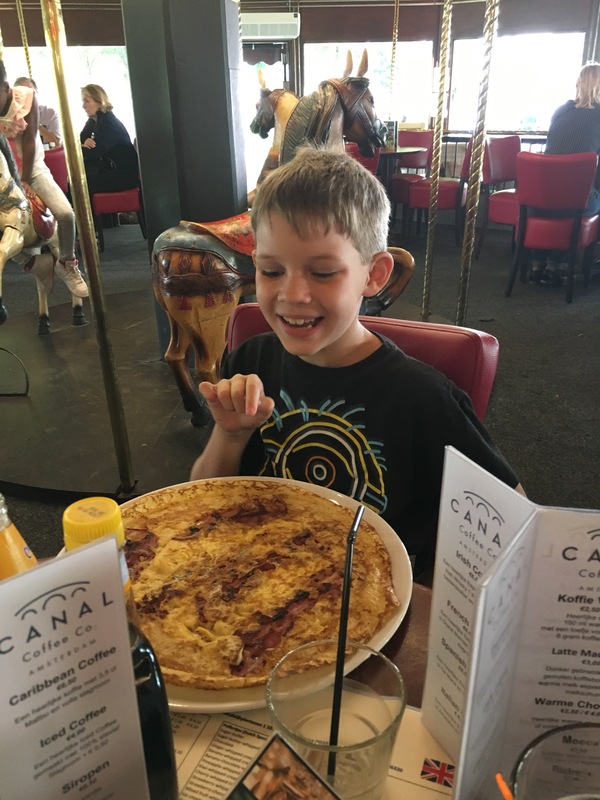 Will was the most adventurous with a bacon and egg pancake. Both the bacon and egg were cooked in the batter (which was the consistency of a crepe). He liked it but the size rivals Pop’s! Seriously! 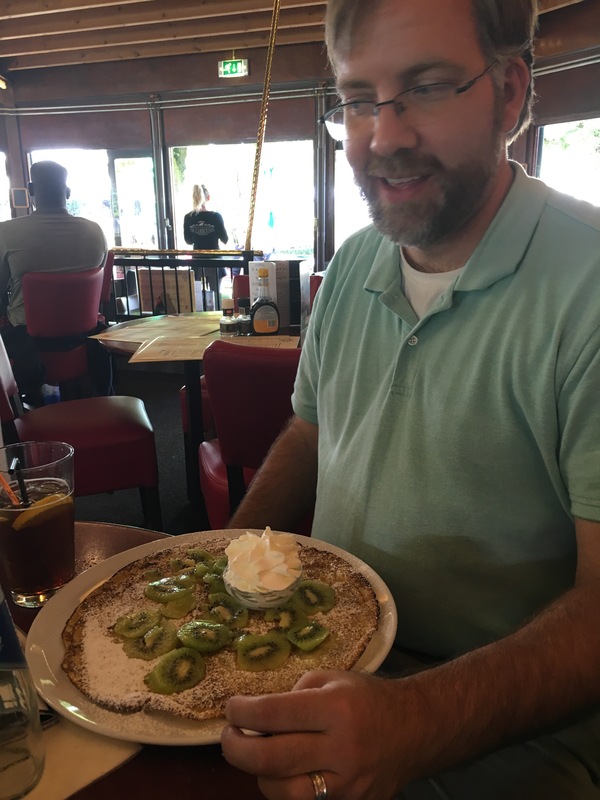 bring me a piece of pancake when you come back! Yep! My kids told me I need to learn to cook those too!